By voting for your favourites in The Wave Awards 2019 you will be entered in to a competition to win a fantastic luxury cruise, courtesy of SeaDream Yacht Club. SeaDream Yacht Club spends the winter months in the Caribbean, returning to the Mediterranean for spring and summer, with sailing itineraries that include extended stays in picturesque small ports, breath-taking bays and secluded islands that are impossible to navigate by the larger cruise liners and in line with a yachting experience, there are only two SeaDream ships, SeaDream I and SeaDream II. More akin to private luxury yachts, with a maximum of 112 guests and crew of 95, “It’s yachting, not cruising,” defines not only the size of the vessels, but the on board lifestyle and anticipatory service. 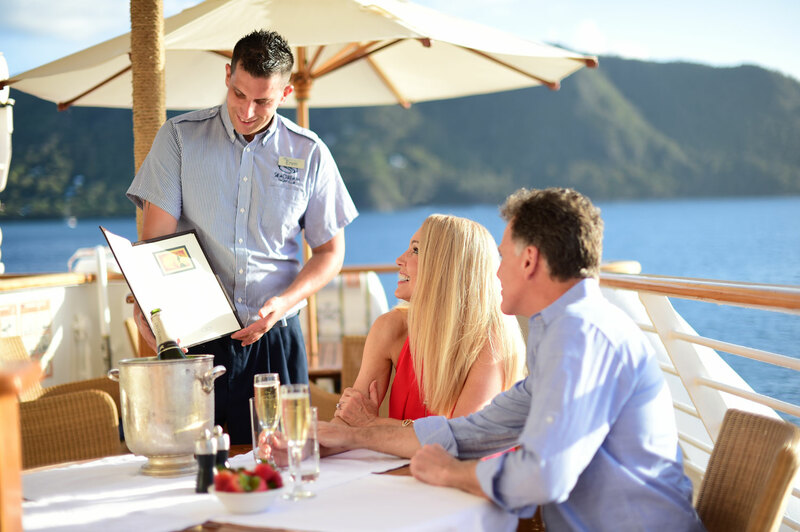 Renowned for an award-winning culinary program, with ingredients sourced locally from visited ports, SeaDream Yacht Club menus change daily alongside an award-winning wine list.